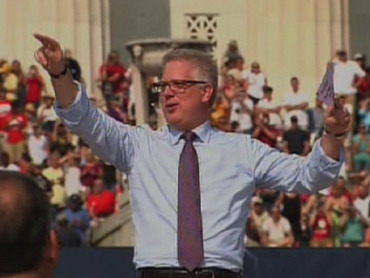 Glenn Beck on Wednesday blasted MSNBC's Lawrence O'Donnell for dismissing the size of the crowd at Saturday's "Restoring Honor" rally as "just the flow through traffic of tourists." On Monday while he was filling in for the seemingly always vacationing Keith Olbermann, O'Donnell told "Countdown" guest Bill Press, "On a typical summer Saturday on the [National] mall, 80,000 is not a big deal." Earlier in the program, O'Donnell had referenced CBS's estimate of 87,000 while conveniently ignoring his sister-network's (NBC) assessment of 300,000. "Getting a crowd there is pretty easy," said O'Donnell. "I`ve been on a lot of film shoots on the mall, and you`ll get 20,000 people watching a film shoot that they didn`t even know was going to happen that day." LAWRENCE O`DONNELL, SUBSTITUTE HOST: You were there on Saturday. BILL PRESS, RADIO TALK SHOW HOST: I was there. O'DONNELL : So, look, on a typical summer Saturday on the mall, 80,000 is not a big deal. That`s just the flow through traffic of tourists. What is your sense of how many people there were actually Beck supporters? Like what percent of the crowd? Half the crowd, three-quarters of the crowd? BILL PRESS: First of all, I`m glad to know that Glenn Beck is channeling Keith Olbermann. I wish he listened to him more often, Lawrence. I have to tell you, I give him credit for getting a big crowd. Look, they pumped this -- they pimped this on Fox News for about a year. 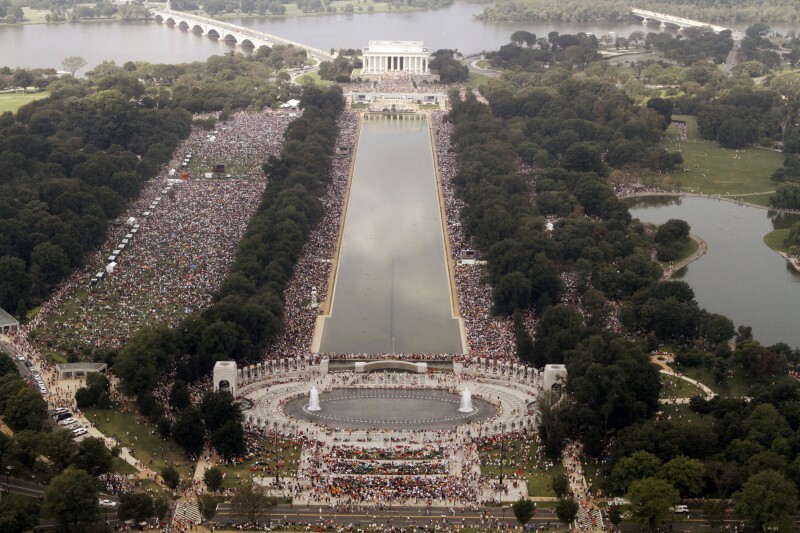 There were more than 80,000 people there, I believe. I don`t know. I`m not a counter. I`d give them 100,000 anyhow. I think it shows the power of Fox News to attract that many people. I think it also shows, which is a little worrying to me, that there`s a lot of energy on the other side. And the energy is not with our base. The energy is with the Tea Partiers these days. They were out. O`DONNELL: Getting a crowd there is pretty easy. I`ve been on a lot of film shoots on the mall, and you`ll get 20,000 people watching a film shoot that they didn`t even know was going to happen that day. And MSBNC is giving this yutz his own show. With this in mind, readers are encouraged to hear Beck's response as captured by our friends at The Right Scoop.